TFIG events will be returning May 17th to Uptowne Galion from 5-8pm! Our vendor application is available HERE. If you have question, please email Miranda at mjones@galion-crestlinechamber.org. 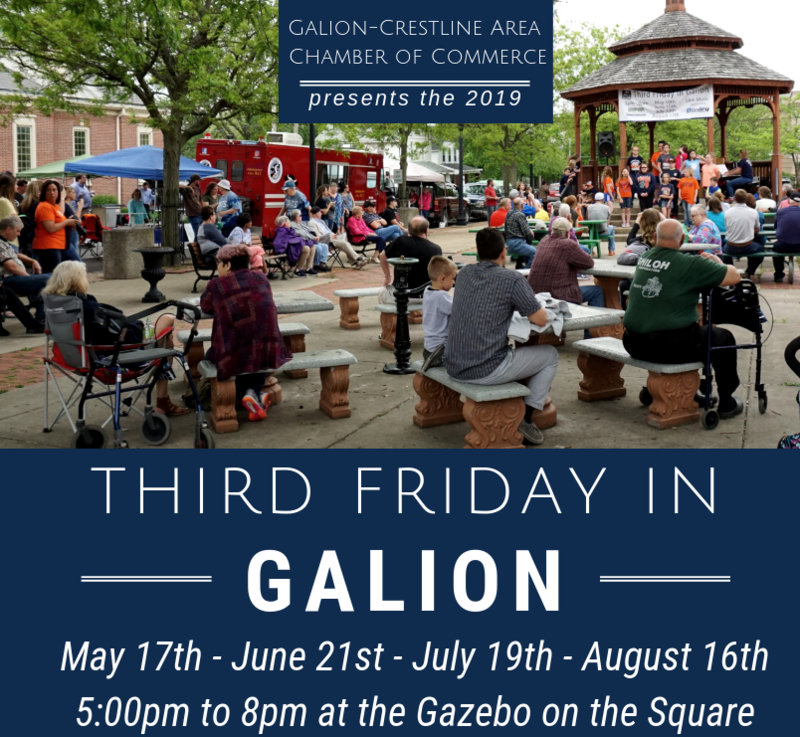 We look forward to the 2019 Third Friday in Galion event season. Mark your calendars now for May 17th, June 21st, July 19th and August 16th.